I find making the personalized Put Me In The Story books quite fun. The builder engine is quite easy to use -- you can even see the text and picture you put in immediately. 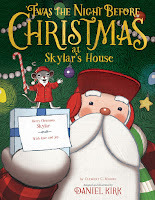 I personalized 'TWAS THE NIGHT BEFORE CHRISTMAS for my nephew. I enjoyed figuring out the right message to include for him, and had plenty of lines to include a nice sentiment. His picture appears twice in the book: once at the beginning and once at the end, in an ornament you can cut out. 'TWAS THE NIGHT BEFORE CHRISTMAS is based on the classic poem by Clement C. Moore. There are a few changes, like dreams of yummy treats instead of sugar plums. (I must admit, I didn't understand the point of that change.) The real draw for this version of the poem is Daniel Kirk's illustrations. They're adorable and bright, with beautiful textured details. I think this makes a nice, personalized gift. 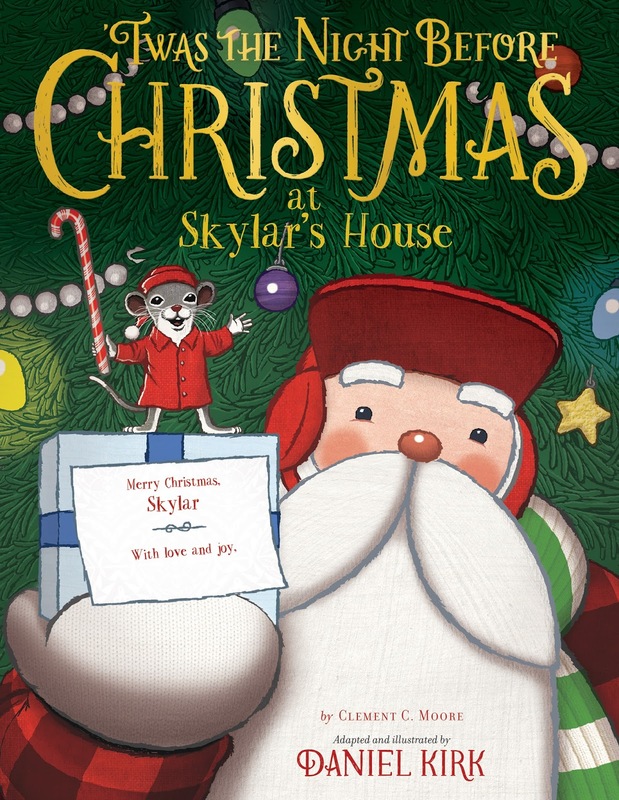 You could win a copy for yourself, as well as copies of OUR LITTLE DEER by Sarah Magsamen and SANTA IS COMING TO MY HOUSE by Steven Smallman, and a $750 gift card. You can enter once per day through December 8th. Details are as follows. Put Me In The Story, the #1 personalized books site in the U.S., has hundreds of personalized books and gifts for newborns, kids, and even grown-ups! With a diverse selection of personalized story books, activity books, adult coloring books, adorable plush and more, Put Me In The Story is a fantastic spot to find personalized gifts that become beloved keepsakes. As a huge thank you to their customers, Put Me In The Story is hosting SANTA'S BAG SWEEPSTAKES, just in time for Christmas! 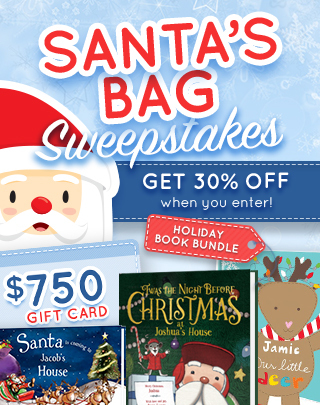 Now through December 8, enter each day for a chance to win the grand prize in Santa’s bag of goodies.